100-250 degree gauge measurement range. 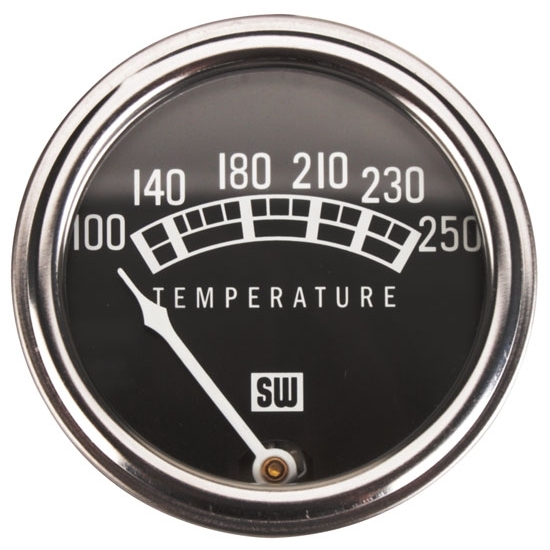 Stewart Warner Standard Series 2-1/16" diameter gauges feature classic white graphics on a black face dial with a white pointer. Includes a flat, bright stainless steel bezel. Sealed case, non-illuminated gauge. Water temperature gauge reads from 100-250 degrees F. Includes a 36" capillary tube.